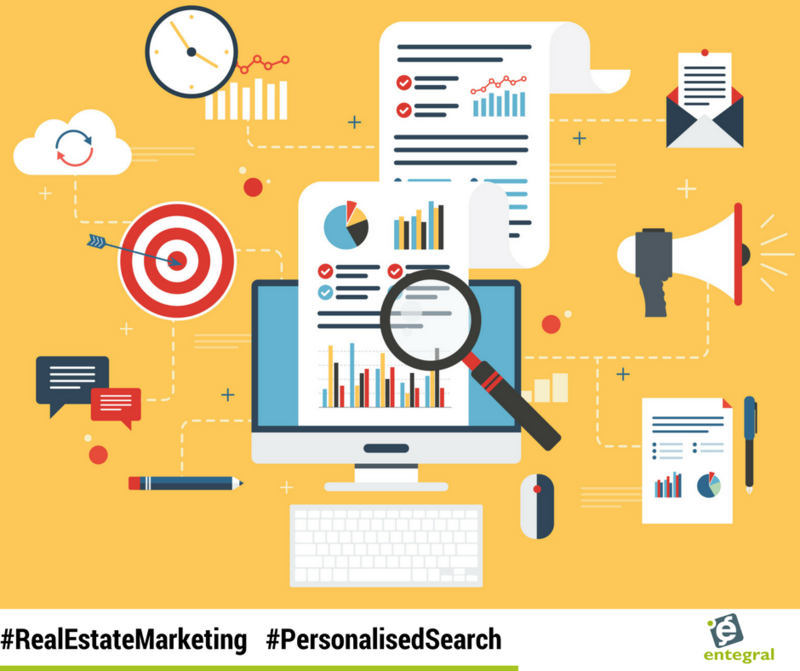 Personalised search has been around since 2005 and there are a number of factors that influence a user’s search engine results page. We take a look at some factors that influence them and how you can make it work for your real estate agency. Country: As with real estate, location is a major factor. Users from different countries will see different results. Think about the search term “football” for example - in the US you will get search results for American Football while in the U.K your results will all relate to what we call soccer. Locality: Digging deeper, Google goes much further than just country. Results are tailored using city level. This is all made easier with mobile technology and that most people use their smart devices for browsing the internet. Therefore, typing in ‘real estate agents near me’ will deliver the closest agency on a city level instead of country level. Web History: The goal of Google’s personalized search results is to provide users with the most relevant and useful information possible. By factoring previous searches and viewing history into account, Google can present users with results from their preferred sites which they are most likely to visit. Device: People who use Google to search on their mobile device will see different results than the same search on desktop. Google uses a different algorithm for mobile ranking with an increased focus on user location. A survey revealed that almost 50% of respondents didn’t even know that their search results were personalised - which makes us ask if users don’t know, do businesses know? There are steps to ensure you optimise your website to better your chance of a favourable ranking with personalised search results. Think Local: The more info you give Google, the better they can rank you. This is why you should have updated contact and office information on your website. Claiming your Google My Business page is also vital for a better ranking result. Focus on Long-Tail Keywords: It is estimated that up to 80% of searches are long-tail keywords. Long tail keywords are those three and four keyword phrases which are very, very specific to what you are selling. This means content with the phrase ‘Lonehill property for sale’ will fare better than simply ‘property for sale’ when you want to ensure you are getting better ranking in personalised search results. The reason that SMBs should focus on long-tail keywords is that competition is lower so they are easier to rank for and user intent is much more targeted. By working out the long-tail keywords that can drive conversions and revenue, you can start to see real ROI from your SEO efforts. Mobile Optimise: Much like content is king, mobile is the future is the one phrase you have to remember if you want to improve your ranking. If you want to thrive in 2017 you have to be geared for Google’s mobile first indexing. Having a low click through rate can harm your ranking. If you manage to get onto page one, you don’t want to undo all your good work with a site that does not meet user expectation on mobile. Our Flex responsive real estate website solution will help you with this. To find out more about our responsive website solutions visit www.entegral.net/flex today and see what the difference is between having a website and having a powerful online marketing tool.